How will you start off your mornings? Start it off right with a nice big 15 oz cup of coffee using this ceramic mug! Make sure you add the trendiest drinkware to your kitchen and start by adding this mug to your collection. Makes a great gift for moms, dads, friends, family, and teachers! 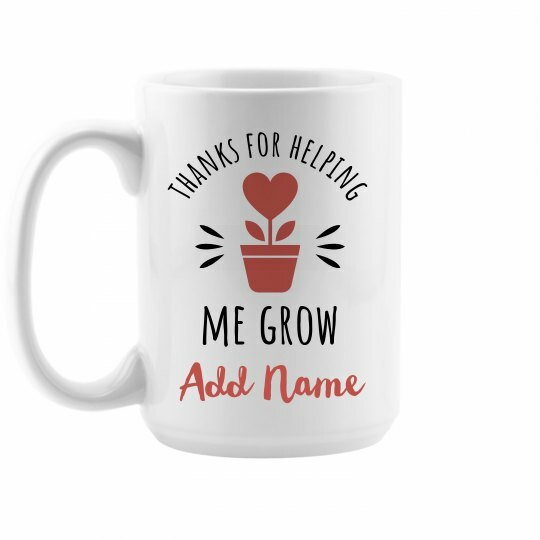 Remind your teacher how grateful you are to them with a super special, custom coffee mug! Personalize it by adding their name. This cute mug will be their new morning go-to. Thanks for helping me grow!